Johnson has a way of drawing you directly into the heart of her work. Her subtly loud descriptions fill you with a sense of haunting, while at the same time giving you hope. You cannot help but picture the entirety of this novel. Each new page becomes a vivid reality for the reader who is rushing towards the conclusion, needing to know what will happen next. I was thoroughly impressed with Johnson’s wrap up of the story. Each aspect of the story is brought to conclusion. The entire mystery is solved in a manner that fits with the tone & subject of the story. I also appreciated the fact that she didn’t jump into the future where everyone was living happily ever after. The remaining uncertainty and discontent summed up the story perfectly while still wrapping up the tale and giving you a sense of closure. You can definitely see the light at the end of the tunnel. The first few chapters really gets you in the thick with the main characters. You get to know their thoughts and feelings. Watching them come together after falling apart is quite interesting. Watching them battling against their past while struggling in the present really gives you a good feel for who they are inside. The supporting cast was also quite diverse and really added to the story. The interactions between the various characters were so real & human that you almost forget that they are simply characters in a novel. Overall, this was a well-crafted and extremely insightful read. 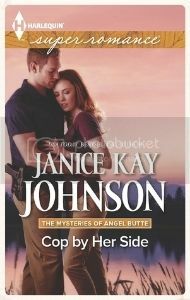 Johnson balances real life with suspense and romance in a manner that will keep you captivated. I thoroughly enjoyed my first foray into her work, and will be repeating it again soon.